Wilderness Surfboardsfounded in Santa Barbara, in 1966, by George Greenough and Michael Cundith, simultaneously started in Angourie, Australia, was at the forefront of the shortboard revolution. Joining Wilderness in the late 1960’s was Richie West, Dan Hazard, and present day owner and designer shaper, Bob Duncan. 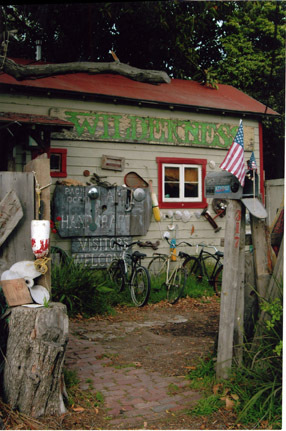 Wilderness has operated at its present location at 317 South Alisos St. in Santa Barbara since 1970. After trips to Hawaii in the 1970's and constant trips to mainland Mexico and Baja, longer, faster board designs evolved improving the basic Greenough design in board and fin, flex and foils integrating the completely original Greenough bottoms. Our custom fin design, flex and foil is now produced by True Ames evolving into the fin for the 21st century–the paddle fin–a constant evolution since the '60's of Greenough foil and flex technolgy. Custom glasswork is performed by Bob Haawkinson, also located in Santa Barbara. and elusive custom kneeboards. Custom orders and stock boards available at the Beach House in Santa Barbara, you can still call Wilderness Surfboards directly at 805.962.9518 or you can email us at wilderness7@mindspring.com.